“He was there, alone.” So are we. Man is alone because he is man! In some way every creature is alone. In majestic isolation every star travels through the darkness of endless space. Each tree grows according to its own law, fulfilling its unique possibilities. Animals live, fight and die for themselves alone, confined to the limitations of their bodies. Certainly, they also appear as male and female, in families and in flocks. Some of them are gregarious. But all of them are alone! Being alive means being in a body — a body separated from all other bodies. And being separated means being alone. This is true of every creature, and it is more true of man than of any other creature. He is not only alone; he also knows that he is alone. Aware of what he is, he asks the question of his aloneness. He asks why he is alone, and how he can triumph over his being alone. For this aloneness he cannot endure. Neither can he escape it. It is his destiny to be alone and to be aware of it. Not even God can take this destiny away from him. In the story of paradise we read — “And He created the woman from the body of Adam. Here an old myth is used to show that originally there was no bodily separation between man and woman; in the beginning they were one. Now they long to be one again. But although they recognize each other as flesh of their own flesh, each remains alone. They look at each other, they see their strangeness. In the story, God Himself makes them aware of this fact when He speaks to each of them separately, when He makes each one responsible for his own guilt, when He listens to their excuses and mutual accusations, when He pronounces a separate curse over each, and leaves them to experience shame in the face of their nakedness. They are each alone. The creation of the woman has not overcome the situation which God describes as not good for man. He remains alone. And the creation of the woman, although it provides a helper for Adam, has only presented to the one human being who is alone another human being who is equally alone, and from their flesh all other men, each of whom will also stand alone. We ask, however — is this really so? Did not God accomplish something better? Isn’t our aloneness largely removed in the encounter of the sexes? Certainly it is during hours of communion and in moments of love. The ecstasy of love can absorb one’s own self in its union with the other self, and separation seems to be overcome. But after these moments, the isolation of self from self is felt even more deeply than before, sometimes even to the point of mutual repulsion. We have given too much of ourselves, and now we long to take back what was given. Our desire to protect our aloneness is expressed in the feeling of shame. We feel ashamed when our intimate self, mental or bodily, is opened. We try to cover our nakedness, as did Adam and Eve when they became conscious of themselves. Thus, man and woman remain alone even in the most intimate union. They cannot penetrate each other’s innermost center. And if this were not so, they could not be helpers to each other; they could not have human community. This is why God Himself cannot liberate man from his aloneness: it is man’s greatness that he is centered within himself. Separated from his world, he is thus able to look at it. Only because he can look at it can he know and love and transform it. God, in creating him the ruler of the earth, had to separate him and thrust him into aloneness. Man is also therefore able to be spoken to by God and by man. He can ask questions and give answers and make decisions. He has the freedom for good or evil. Only he who has an impenetrable center in himself is free. Only he who is alone can claim to be a man. This is the greatness and this is the burden of man. You can read the rest (and more) here. Tillich knew quite a bit about “the encounter of the sexes”! Yes, Peter. Reminds one of Karl Barth. But I don’t think it is limited to German Protestant theologians. Blessings. No, Tillich was in a different league to Barth. The former is alleged to have abused power differentials in relationships with students; the latter to have had one continuing affair with his secretary. 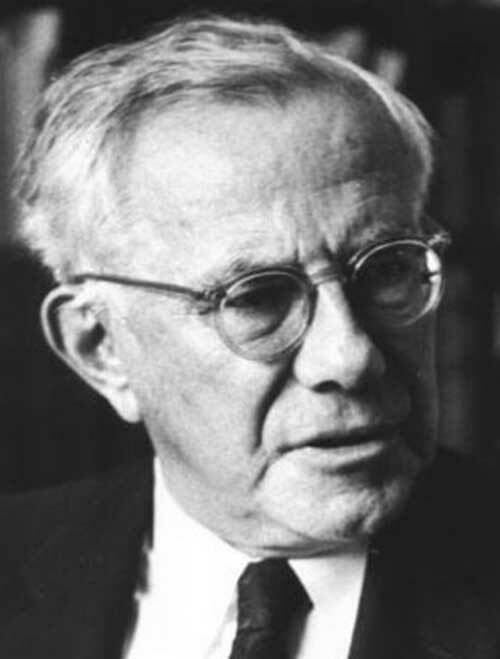 Tillich, I suspect, on the basis of the passage you cite above, knew only too well the loneliness of a man who moved from one encounter to another. I doubt Barth would have written similarly to Tillich! Wikipedia states that the relationship between Barth and Charlotte von Kirschbaum was academic. She lived in the Barth household, don’t you think that Nelly Barth would have cried foul if there was a romantic affair? That is the question for Barth’s biographers. But Nelly may have been long-suffering. Von Kirschbaum appears in photos with Barth on trips away from home (without Nelly) which suggest a closeness of friendship that many wives would be aghast at (even if Wikipedia is correct). Thank you for this, Bosco. A difficult read, but rewarding.